For years, stacks of paperwork and hours of computer-based training requirements have chewed up airmen’s valuable time while they prepared for deployment to the Middle East. But now, U.S. Air Forces Central Command has taken an ax to its pre-deployment requirements in a bid to free up hours of airmen’s time. 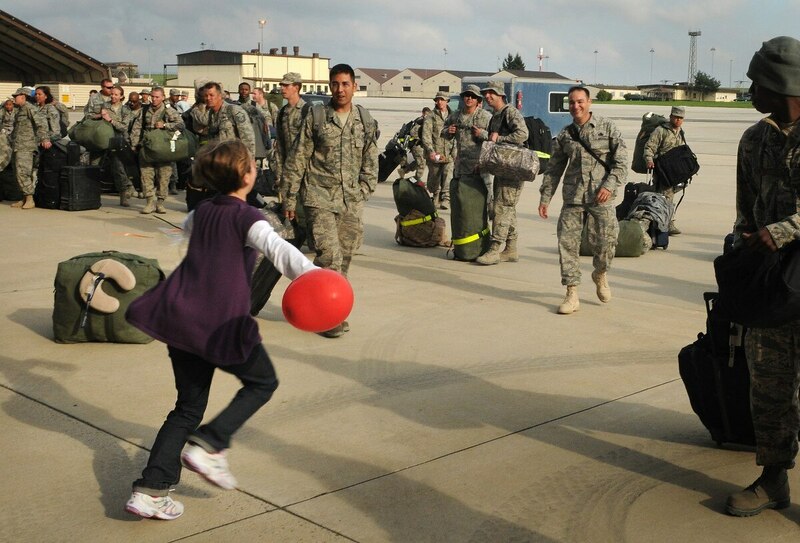 And AFCENT hopes that will let deploying airmen spend more time with their families and improve their quality of life. Former Air Force Secretary Deborah Lee James and Chief of Staff Gen. Dave Goldfein in late 2016 finished a review of additional duties imposed on airmen through official Air Force instructions. The service began eliminating some outright or pushing them on to support staff to free up airmen to do their real jobs. James’ successor, Heather Wilson, has continued the effort to reduce airmen’s unnecessary duties and return time to them. AFCENT’s new, streamlined pre-deployment requirements went into effect March 21. Leech estimates they will save deploying airmen at least 263,600 hours per year. For the more than 49,000 airmen who went through the Middle East last year, that averages out to at least five hours saved per airman annually. Deploying airmen will save “anywhere from a 15-minute CBT [computer-based training session] to a two-hour wait at the hospital,” Leech said. In addition, that five-hour-per-airman estimate doesn’t take into account the amount of time airmen take traveling to multiple offices, waiting around, and reading, comprehending and completing checklists, said AFCENT spokesman Maj. Patrick Simmons. Reducing the dreaded CBT requirements is a major part of AFCENT’s streamlining effort. Leech said AFCENT’s review showed that some CBTs weren’t necessary and were imposing too much of a burden on airmen’s time. AFCENT is also extending the “shelf life” of deploying airmen’s training, so they don’t end up having to re-take a course immediately after finishing it. For example, some CBT courses are good for six months before an airman has to take a refresher. Under the old system, if an airman deployed for six months and his currency in a certain training course was slated to expire at some point during his deployment, he’d have to take CBT again shortly before departing. But now, Leech said, the Air Force won’t require deploying airmen to re-take those courses, as long as they’re still current the day they deploy. Even if an airman’s currency expires a week after arriving in the Middle East, he said, that airman won’t have to take the course again until he returns home. Leech said AFCENT is reducing the number of airmen on short-term deployments required to go through the pre-deployment checklist. Previously, airmen going to backfill a job overseas for 30 days or more had to finish those requirements, Leech said. But now, only those going for at least 45 days will be required to finish that checklist. AFCENT began reviewing its pre-deployment requirements last December, Leech said. 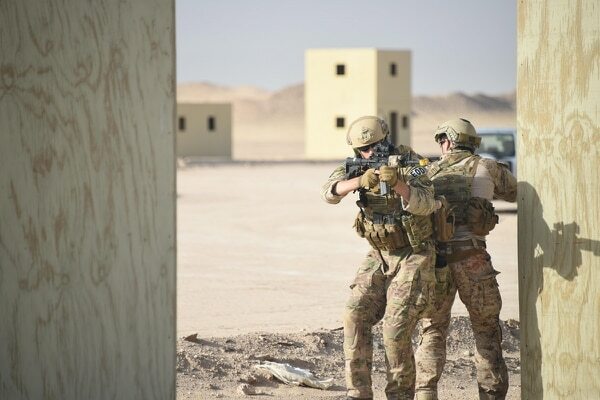 The teams looked over every requirement, broke each one down, and reviewed them against what AFCENT used to require on its standard outprocessing checklist for deploying airmen years ago. Leech said AFCENT commander Lt. Gen. Jeffrey Harrigian ultimately made the decision on what he felt was required for deployments to his area of responsibility. The amount of pre-deployment paperwork has also been cut to the bone. AFCENT reduced its 23 pages of deployment checklists and instructions down to nine, it said in a March 27 release. Simmons also said that AFCENT cut 44 pages of policy letters and guidance memoranda down to 15 pages. What’s more, 79 pages of dress and appearance regulations were cut to 19 pages and two pictures, and AFCENT’s decoration guidebook was cut from 62 pages to 39. AFCENT was able to whittle much of those checklist requirements down by cutting out redundancies, such as requiring two signatures on some documents. Version 2 of the streamlining effort, expected to be announced later this year, will likely include efforts to cut down on immunization and other medical outprocessing requirements that aren’t necessary for the Middle East, Leech said. This will require AFCENT’s personnel office to consult with its surgeon general’s office. The second phase will also likely further define pre-deployment policies and further combine checklists. And AFCENT will continue rolling out additional improvements as it figures out more ways to save airmen time and effort.